I'll never forget that sensible question. It was uttered by a little boy wandering about in the same aisle as me in our local home center around new year's day. His mom was right there next to him, keeping him busy while his father, no doubt, was checking out the power tool sales. The boy took inventory of everything about him, touching and monkeying with whatever was within his reach. Then he abruptly stopped, looked curiously at an item up high, pointed, and asked mom, "What's that?" 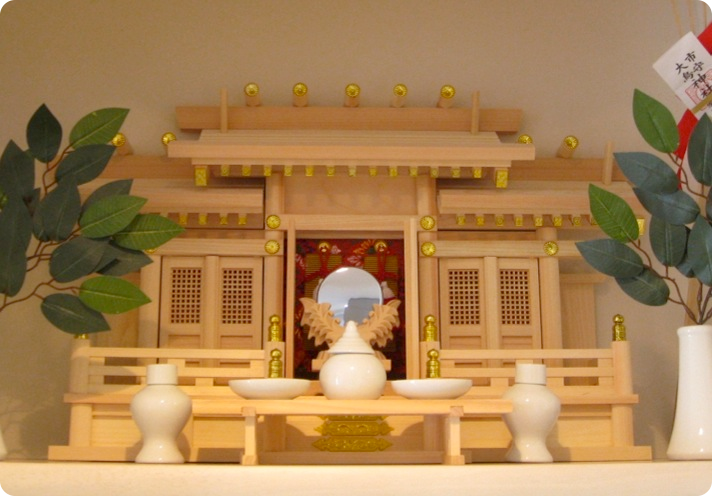 He'd probably never seen a housing for a deity that Japanese typically use to decorate a kamidana, or god shelf, in their homes. This particular one was on sale. His mom followed his finger to the do-it-yourself kit (roughly the size of a loaf of bread), and said, "Oh. Well, that's a house for god." The boy's response was priceless. He wrinkled up his face quizzically and said, "A house for god? Why would god need a house? That's dumb." From the mouths of babes! His mom was completely nonplussed. She darted a sheepish glance at me before scurrying the boy along. Why limit the divine to a tiny decoration? How have we limited God in convoluted ways within our own faith? Perhaps not in the way of a do-it-yourself kit, but to greater degrees than we recognize and admit. A missionary colleague here in Japan wrote a piece on this subject and the Japanese New Year traditions. The original article is here. I have included it below. Enjoy, think and pray! The typical pilgrim arrives dressed in kimono, then bows, claps, and makes a brief silent prayer to the deity for health and prosperity in the year ahead. Many temple Buddhas and shrine kami (divine spirits) are thought to specialize in answering certain types of request: Some attract struggling businessmen, some draw students facing exams, while others offer help to forlorn lovers. Japan is home to a multitude of shrines and temples, some boasting a history stretching back over a thousand years. If the Apostle Paul were to visit, he would likely echo the judgment he expressed in Athens, that the citizens of this place must be “very religious” (Acts 17:22). In this he would be mistaken. In a recent Yomiuri Shinbun poll, 72 percent of respondents claimed no religious affiliation. Except at holidays and other special occasions, Japan’s shrines and temples are frequented more by tourists than by devotees. Yet very few Japanese would be willing to give up these religious sites, and the vital, if vague, link with the transcendent they represent. Temples and shrines bear witness to the human desire to make contact with the divine, as our hearts are restless apart from the One who made us. On the other hand, perhaps they equally and ironically reflect a desire to contain the divine, as our hearts are rebellious and fearful of giving up control. Temples are very convenient. If God is in the temple, then we know where to find Him when we need help. But once we leave the temple, He remains behind while we are free to go and do as we please. Since the temple belongs to God, if I go there, I play by His rules. I take off my shoes, bow, kneel, or whatever protocol requires. I show proper respect, because after all, the temple is God’s territory. But once I get home, my house is my house, and there I am in charge. My life is my life, and I am the boss. If I need help from God, I’ll let Him know. Otherwise, He can stay in the temple—a kind of cage for God. In the temple, God is safely locked away, no longer at large where He might catch us by surprise. Of course, we Christians understand, “The God who made the world and everything in it, being Lord of heaven and earth, does not live in temples made by man” (Acts 17:24). Yet we all too easily fall into the “temple” mindset, assigning God His place in the religious sector of our lives while claiming the rest as our own. We’ll give God one day a week and a tenth of our income, but as for the rest of our time and money, well, we would rather God mind His own business, and leave our stuff alone. Nearly as ubiquitous in Japan as the shrine or temple is the koban. This is a compact police station housing one or two officers per shift whose job is to keep watch over their block. Mostly they are called upon to give directions, to handle lost and found articles, to take reports of petty crimes, and to offer help in case of emergency. 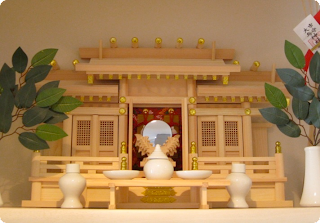 A temple serves as a kind of divine koban. We want a deity who is always on call to show us the way, help us recover lost items, listen to our complaints, and save us when we’re in danger. But of course it doesn’t work that way. “The earth is the Lord’s and the fullness thereof, the world and those who dwell therein” (Psalm 24:1). The true God will not submit to our restrictions, or play by our rules. He may show up at any place and any time, upsetting all our plans and laying claim to all our possessions—even our lives. He cannot be caged.